For most of us, cultural norms appear to be just that – norms. But collective attitudes fluctuate far more than most appreciate. Examples litter history: public hanging only ended in the UK because it became too popular. The fact is that social attitudes change considerably – and it pays to be alert as to when they do. Globalisation has been running into headwinds for a while, but until recently, few appreciated that it had already passed its high-water mark. With the benefit of hindsight, we can now see Brexit in the context of a new social trajectory. The same holds true in finance – perhaps even more so. Markets have already entered a period of flux. Social disenchantment with globalisation was already a political issue. But the market implications of a retreat from globalisation remain greatly under-appreciated. It’s a bit like the game at children’s parties where you try to decipher an image from a tiny fragment of the whole – it’s hard to recognise the full picture at close range. Extraordinarily low bond yields don’t just mean it is less costly to borrow – they also imply that future returns will be very modest. Previously I have highlighted just how much several credit-fuelled decades have distorted investor norms. Slow Finance and The Future is Small outlined investment strategies that could be expected to outperform while market trends were changing. But now we are past the turn and economic trends have changed decisively. Now we can be more confident that future market trends will be very different from past decades – it will be like moving from the vigour of a rainforest to the seasonal cycles of a temperate woodland. Get ready for economic cycles to reappear. Summer – winter – summer – winter… And get ready for more company setbacks. The corporate world will once again become a more even mix of growth and decay. When there is more corporate decay about, financial averages lose their appeal. Index funds are already passing their sell-by date. It is time to be more decisive and a lot more selective. 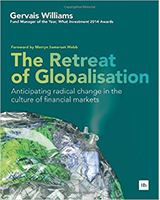 This book – The Retreat of Globalisation – argues for some unconventional yardsticks going forward. It’s going to become more important to actively select the best stocks for your capital. But how can one know what might constitute the best stocks? The answers may seem counter-intuitive to those who have only known one set of economic conditions. But the need to find those answers has never been more pressing. This book explores exactly how we got to this point. And it takes us forward, to a world where trends of the past contrast more with the forthcoming trends than anyone might have expected. how Index funds, ETFs and all other passive strategies have passed their sell-by date. of the dangers of sitting back with a status quo portfolio when changing market trends could undermine future returns. detail on some of the metrics to identify the best performing companies going forward. 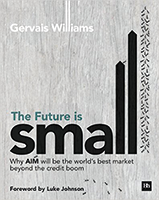 As Managing Director of Miton Group plc and one of the most prescient commentators in the City of London, Gervais Williams has written three books, Slow Finance (2011) and The Future is Small (2014) and The Retreat of Globalisation (2016). He has a natural ability to anticipate market trends and this has stimulated much of his writing. As a professional investor Gervais has received many awards, including the Grant Thornton Quoted Companies’ Investor of the Year Award in both 2009 and 2010; the Diverse Income Trust plc was recognised as the Best New Investment Trust by the Association Investment Companies when it was set up; and in 2014 he was adjudged to be What Investment’s Fund Manager of the Year. If you enjoyed Gervais’ latest book, you may also enjoy some of his past publications. 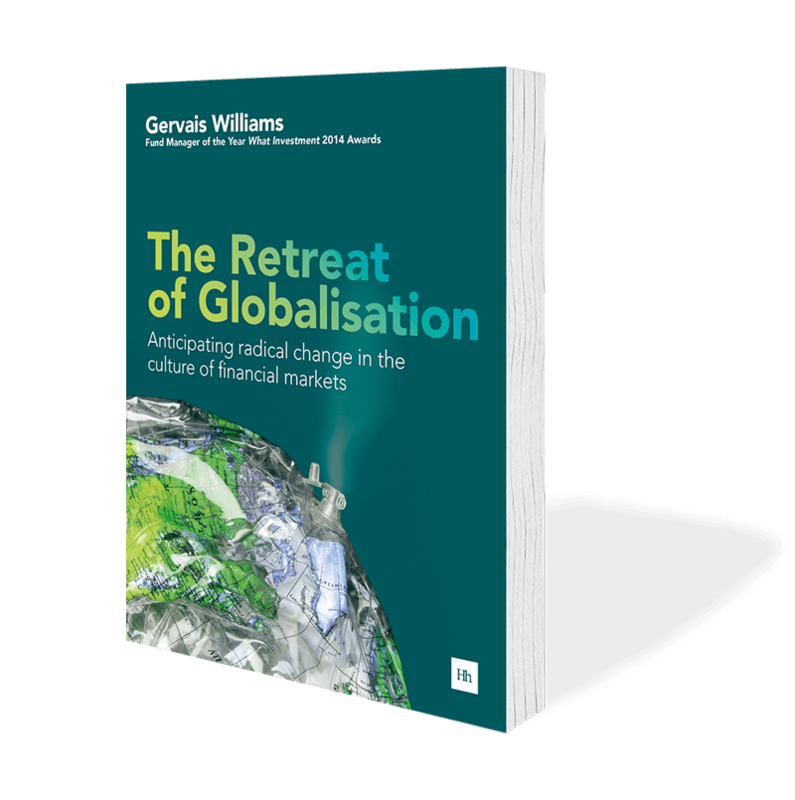 In The Retreat of Globalisation, award-winning fund manager Gervais Williams outlines why we are entering a period when the culture of financial markets will change more in three years than it has in the last 30. 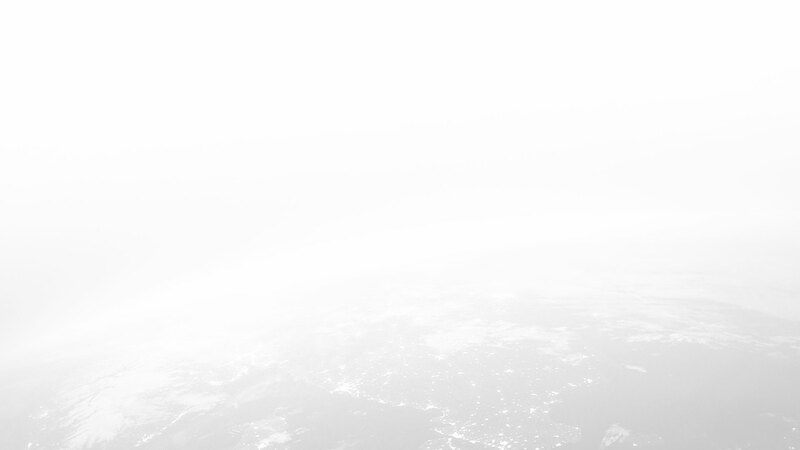 In a world dominated by gigantism, the beauty of smallness hasn’t had much of a look in. Yet beyond the credit boom, globalisation has been found wanting. Drawing on the principles of the Slow Movement, which advocates a return to local, sustainable ways of living, Slow Finance reveals the true scale of the imbalances within the world equity markets, in the context of the trends of the last 20 years. Gervais Williams has been an equity portfolio manager since 1985 and has a long history of generating premium returns. This site covers his personal views and writings.